Share Us on facebook, twitter, and google! The West Meadow Hill Board of Managers and Barkan Management would like to welcome you to our new website. Please use Channel #918 for current information or, with regard to specific questions, call Phyllis Lyon or Heather Mastrangelo in our Office. If you are a new resident of West Meadow Hill, please be sure to read through the documents sent to you by the Property Manager and return to the Office any information or forms requested. 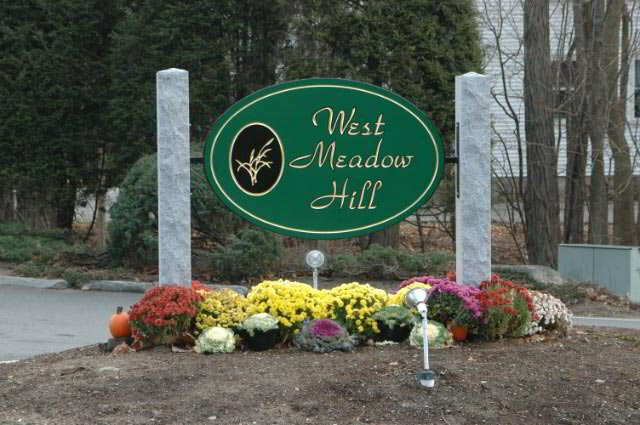 Again, welcome to the Community of West Meadow Hill. To reach the Board, please address your letters to "The Board of Managers" and deposit it in the mail slot at the office. All letters must contain the name and address of the sender. The Board will not respond to or correct any problems from anonymous letters. Thank you. West Meadow Hill Volunteers & Contractors: Board of Managers: Gary Lombardi, Chairperson; William Gould, Vice-Chairperson; Ron Rebeiro, Treasurer; John Stackelin, Clerk; Ronald McKinnon, At Large. Advisory Committee: Linda Simonelli. Barkan Management: Phyllis Lyon, Property Manager and Tracy Havanidis, Property Administrator.